The chart itself for the Breeders’ Cup Juvenile doesn’t precisely show just how much better Game Winner was than the rest of the field. He was bumped a bit as he broke from the starting gate, raced wide all the way around the track, and endured a challenge as Knicks Go veered out and made contact in the stretch. But Game Winner wasn’t fazed as he rolled home to an easy win. The undefeated favorite in the Breeders’ Cup Juvenile lived up to expectations, and now the attention turns to the bigger prize, the Kentucky Derby. It is still early on the road there for Game Winner. However, after the Breeders’ Cup Juvenile, two things are true: The colt was easily the best in the field, and he likely has already earned enough points to qualify for the Derby. Concerning some of Game Winner’s foes in the Breeders’ Cup Juvenile, there were some disappointing efforts, but there are still a few in this race that I expect to see further down the road in the 3-year-old season. Contenders that I anticipate to be in the mix and vying for a spot in the Kentucky Derby starting gate are runner-up Knicks Go, third-place Signalman and Gunmetal Gray, who was fifth but is Grade 1-placed going back two starts. So, eventual Kentucky Derby winners often don't appear in the championships at age 2. Do most who do crumble before they get to May? Of course, as we saw earlier this year, Justify became the first Derby winner since 1882 to take it having not run at all as a juvenile. In the points era, there are many ways to get a horse into the starting gate and ready to run the Derby. Turing our attention to the contenders that we did not see last weekend at Churchill Downs, the list begins with Grade 2 winner Instagrand, Bob Baffert-trained Roadster, Bill Mott's Hopeful runner up, Mucho, and Cairo Cat the Iroquois (G3) winner who missed the Juvenile with a slight setback. Certainly, another Juvenile to keep an eye on is Code of Honor. The son of Noble Mission was originally entered in the Juvenile but scratched after spiking a fever on race day. Keeping this list to 10, others to keep an eye on are Street Stakes winner Improbable, Nashua winner Vekoma, Rowayton, Maximus Mischief and Call Paul. 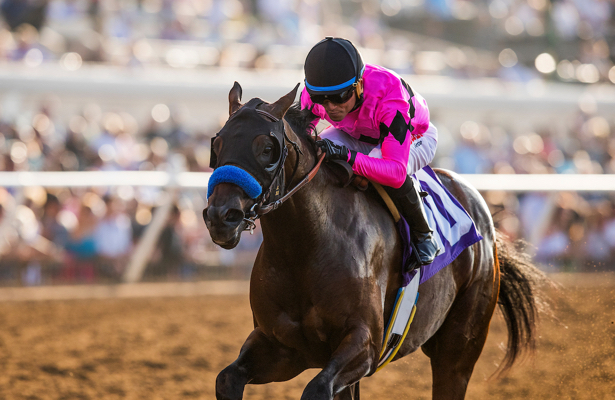 Earlier this year, Baffert showed us the diversity of his barn in the 3-year-old division. Heading into the meat of the Kentucky Derby prep season, McKinzie appeared a prime candidate to become the Hall of Fame trainer’s next Kentucky Derby winner. However, his hopes were dashed due to injury. Fortunately, Baffert had something even better in his barn. Enter Justify. I won't assume that Baffert is the only trainer with a bunch of talented 2-year-olds, or that he’ll be able to pull off that feat again in 2019, but he appears to be loaded again with the calendar close to turning. We've already mentioned Game Winner, Improbable and Roadster, the latter having missed time to get a throat issue repaired. He should be back to work soon. Then a few lesser-known hopefuls are off to great starts.The list begins with three juveniles that each won their first career races: Tale of the Union, Mucho Gusto and Magic on Tap. Rounding out some of the late bloomers in Bob Baffert’s barn is Metropol, owned by Peachtree Stable. In October, the son of Shackleford kicked things off in his racing career with a solid score at Santa Anita. Plus, we'll wait to see whether Cruel Intention, the 2-for-2 winner of the Golden State Juvenile Stakes, will to stretch out moving forward. Growing up across the river from the Bluegrass State, I was able to spend a lot of summer days at Ellis Park in Henderson, Ky. It was there that my attraction to the Sport of Kings began. 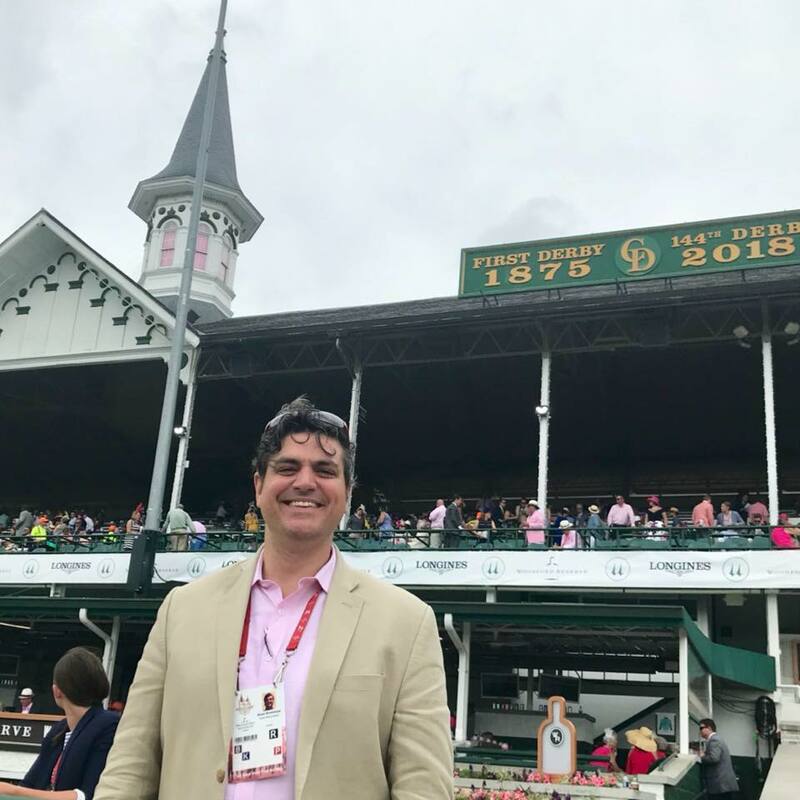 In the spring of 2000, I made my inaugural Kentucky Derby appearance, and the tradition continues annually because there is no other city in the racing world like Louisville, Ky., on Derby Day. Although the story of a Kentucky Derby winner is legendary, a champion's trail is what The Kentucky Derby Post is all about. It begins when 2-year-olds hit the track continues until the field is set, the picks are in, and the roses are awarded.